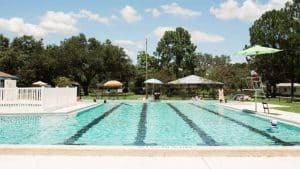 The Mulberry Community Pool is open June 1st- August 11th in 2018. The pool is open and free to City of Mulberry residents only. All children under the age of 15 years must attain a free Pool ID from the Mulberry Cultural Center. The Cultural Center is open Tuesday- Saturday 9 a.m. to 5 p.m.